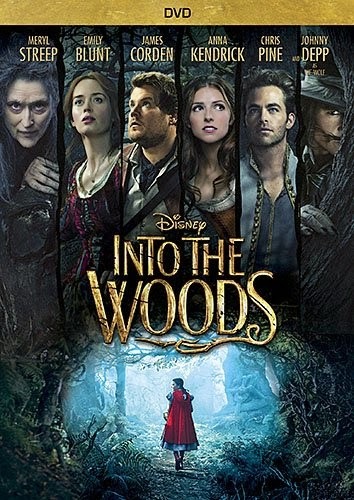 This week, the movie version of Stephen Sondheim and James Lapine's Into the Woods came out on home video. First, I just want to say that I think Disney did a great job of adapting the musical to the screen. Sure, there were some changes, but I think most were justified and worked. Also, I noticed recently that during Jack’s song “There are Giants in the Sky,” the melody from the Witch’s “Stay With Me” makes an appearance (a song we haven’t heard yet in the musical). But it’s deeper—“Stay With Me” is a song about the witch wanting her adopted daughter to be close to her, and the melody shows up in “Giants in the Sky” at the exact moment that Jack sees his mother at his house. One of the reasons why I like Into the Woods so much is that these little melodic moments happen throughout the musical. Now that’s out of the way, there was one thing that bothered me as I watched the movie (and this applies to the musical, too): numerous times Sondheim disregards the basic creative writing guideline “Show, Don’t Tell.” In other words, people in Into the Woods are singing exactly what they feel fairly often (“Agony, beyond power of speech,” “And you’re really scared that you’re all alone, and it’s then that you miss all things you’ve known,” “And he made me feel excited, well, excited and scared”), instead of just showing us what they feel by their actions. And this from one of my favorite pieces of art?!? It’s a musical. Characters are allowed to tell what they are feeling through a song in ways that wouldn’t work with dialog. That’s what songs are for: presenting feelings (though it helps to be creative; think of “Part of Your World” from The Little Mermaid—it’s classical example of creative broadcasting of emotions in first person). We know these fairy tales, but the versions we know don’t include explorations into the character’s psyche. In other words, we already know the showing part. So we don’t mind the character just telling us, as it’s something extra. Because the characters in fairy tales (and by extension, Into the Woods) are allegories of real life people and situations, we are already doing the work of mapping what happens in the story (getting eaten by a wolf) to what that might signify in real life (getting abused or raped, etc.). That already takes a lot of brainpower (not to mention processing the music, too), so having characters say something straightforward, like “I really got scared,” makes the task of mapping to real life easier. Moral of the story: add music (and a little creativity) and maybe “Show, Don’t Tell” isn’t all that sacred. 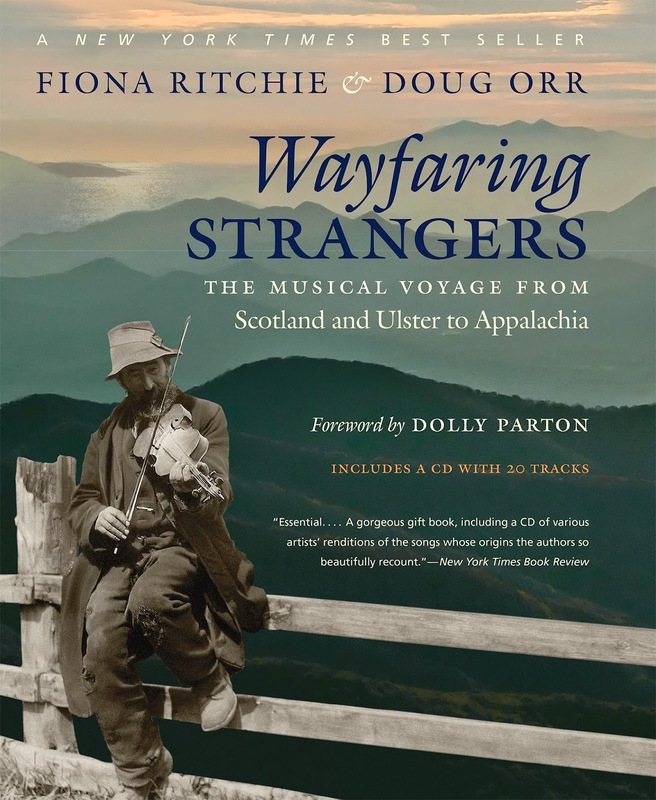 For St. Patrick’s day this year, I’d like to review the new New York Times bestselling book from Fiona Richie and Doug Orr, Wayfaring Strangers: The Music Voyage from Scotland and Ulster to Appalachia. Fiona Richie is most famous for her NPR Celtic music show The Thistle and the Shamrock, which I love but is usually in a horrible time slot like 7pm on Saturday. Besides my love of Celtic and old-time music, I had a personal reason for reading this book—I myself have Scots-Irish ancestry tracing back to the Appalachians. This book traces migration and music from Scotland to Ireland (in the 1600s) to Philadelphia (in the 1700s) to the Appalachian mountains (late-1700s and later), not to mention other migrations from Scotland and Ireland to America. It full of interesting stories and facts: the 18th-century migration of Ulster Scots across the Atlantic, the Scots-Irish American Indian chiefs, the Gaelic-speaking community in North Carolina that was lost when the government build Fort Bragg, the invention of the mountain dulcimer, how African-American fiddle/banjo duos died out because the recording industry would only record white folks playing that instrumentation, and how American "old-time" music became disseminated to the world, just to mention a few. While the book was enjoyable and informative, I think there are a few editing choices that made the book at times somewhat difficult and detracted from the wonderful musical journey that is the book's focus. I think the front matter, which starts in Roman times and has a large section on Medieval France, could have been pared down quite a bit. Also, the book has too many extra sidebars and excerpts from interviews with famous musicians. While the interviews are usually interesting, many times they do not really illustrate the points made in the main text. I think the authors could have been more selective on these interview excerpts. As for the the sidebars, they also often took away from the narrative, sometimes repeating information already in the text or stating information that easily could have been worked into the narrative. There were a few times where spans of 6 pages had only just sidenotes and interviews, which made it difficult to pick the narrative back up. I also thought the artwork and photos usually had very little to do with the narrative, and I would have liked more useful and illustrative pictures instead of “here’s some nice mountains!” I understand that this book is kind of a hybrid between a coffee table book and an an academic book, but I still think that the pictures should have matched the text better. A few other small complaints: while the book is full of stories and personal accounts about the migration from Scotland to Ireland and across the ocean, soon after they immigrants arrive in a America, the personal stories dry up and we are left with more general movements mixed with conjectures from more modern figures, some more authoritative than others. Also, at times there was a lack of technical depth, such as repeatedly bringing up the “high, lonesome sound,” but never defining it. Finally, while the included CD is a welcome addition with good recordings, as presenting a book about music with actual music is important, it was strange that many of the artists on the CD were not really discussed in the book, while other important featured artists (like the Carter family) did not have any recordings. In the end, if you love Irish or Scottish music, but have never heard of the Scots-Irish or thought that all the Irish came over to America after the 1840s' Great Hunger, you should check out this book. Or, if you love old-time music but don't know about roots in the British Isles, you should check out this book. Enjoy! Well, it’s been a month since my last post—the first time I’ve missed a week since I began this blog 2.5 years ago. I suppose a couple of weeks in the hospital with an leg infection is as good excuse as any. 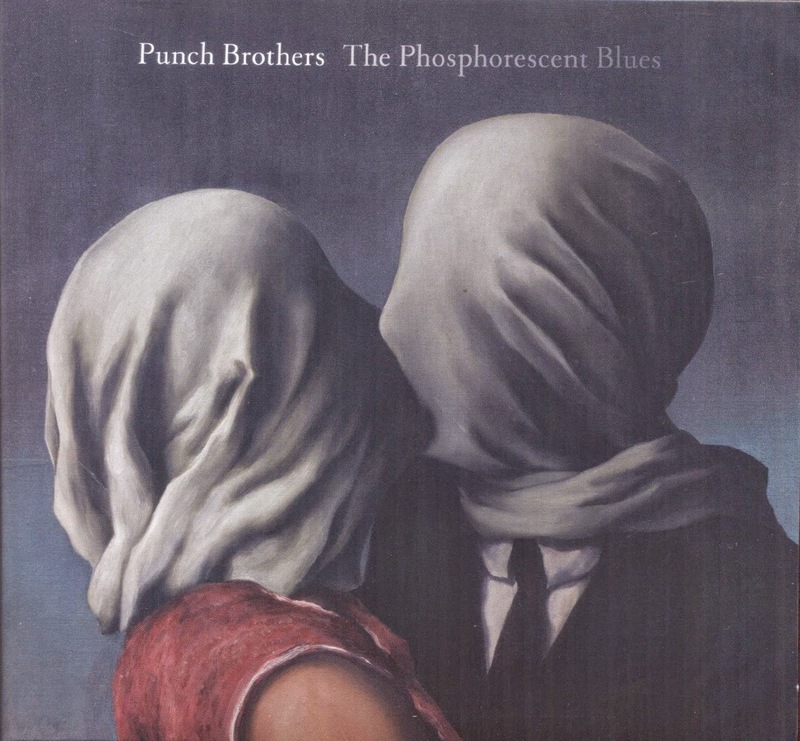 But I’m back, and I’m going to review the new Punch Brothers’ album, The Phosphorescent Blues. Despite producing this album with T Bone Burnett, the Punch Brothers were probably not looking to break into the pop charts with their new album. What they did, though, is what they’ve done for their previous albums—take their traditional bluegrass instrumentation and transform that ensemble’s sound into something novel. So what’s the secret of Punch Brother’s unique sound in this album? While it is hard to boil their varied compositional techniques down to the most vital, I think I can identify three broad strokes: (1) constructing complex textures, usually bit by bit, with multiple instruments playing repetitive but complex parts, and (2) exploring complex harmonies, and (3) taking time for instrumental interludes between voice parts, which in turn allows for more of (1) and (2). The highlight of the album is the first track, “Familiarity,” despite its 10-minute length; it’s not really one song, but three spliced together. The song never ceases to surprise throughout, as it moves from one musical idea to another while maintaining some semblance continuity. “Forgotten” and “Between 1st and A” also exemplify the above characteristics. Instead of the acoustic versions of electric songs that were featured on the previous albums, this time Punch Brothers tries something new—they transcribe two early 20th-century piano pieces from Debussy and Scriabin for their ensemble. These two tracks achieve the same result as the acoustic/electric songs, though—they serve as a Punch Brothers’ showcase of imaginative timbre. There are a few pieces that perhaps aspire to the pop charts: “I Blew It Off,” “Magnet,” and “Little Lights.” Perhaps not coincidentally, these are also the tracks on which T Bone Burnett plays electric guitar. I think these are perhaps the low point of the album. The chorus of “I Blew It Off” is so formulaic that it sticks out like a sore thumb compared to the rest of the tracks, and “Magnet,” despite having a pretty good guiding metaphor, lacks the inventive melodic lines of other songs. Also, the chorus of “Magnet” just begs to go somewhere harmonically, but doesn’t. “Little Lights” doesn’t seem to go anywhere musically or harmonically, either, but tries to make up for it by adding more volume. Despite the addition of a crowd of voices, I think it falls flat—there’s just not enough musical ideas to sustain the track through the build. Despite the low points, I think the album deserves a spot with the other Punch Brothers albums as a masterpiece. I’m not disappointed with the album as a whole at all. Even the inferior tracks have great moments and ideas. The Punch Brothers are one the best groups pushing the boundaries of popular music, and they continue to push and succeed on The Phosphorescent Blues.